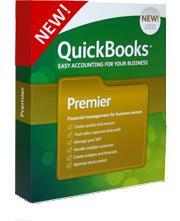 Quickbooks Accountant is allowed more than five users to maximum of 30 users and not Quickbooks Premier. Business planning tools specialised for accountants' needs - Multi-currency is now available in Quickbooks 2017, 2018 and 2019 products. New Quickbooks Premier and Accountant 2019 allows to track balance sheet by class. Easily create your own customized reports without any additional cost. Situated in Edenvale, close to OR Tambo airport East Rand, Germiston, Modderfontein, Kempton Park, Jet Park , Benoni , Boksburg , Bedfordview, Green stone, Limbro Park and with business partners through out South Africa - Our services have no limits or boundaries so where-ever you are you can count on us.